I stopped by LFL # 14661 today, at 4109 SE 66th, to drop off some books. It’s got a lovely little yard that was full of birds when I was there. The library itself was packed full of books and a handful of CDs too. This one is near enough one of my work commutes that I’ll have to remember to stop by sometimes! As the founder of Microcosm Publishing, which I’ve owned for the past 23 years, my greatest joys have been explaining and debunking industry myths to devout readers. I frequently meet people in public or on a cross-country train whose idea of the book industry is broken and backwards. My favorite encounter was when I told two New Yorkers that I am a book publisher and they immediately responded with, “I’m so sorry.” To which I could only say, “Why? We just finished our best year ever.” I could see how after a year of only reading New York Times op-eds you’d be left with the impression that our industry is tanking off the rails. And to be sure, publishing is changing. But not in the ways that you might think. 10. The U.S. price of the book is hidden in the bar code. Pick up the book closest to you. Look at the back cover and find the bar code. If it’s less than 10 years old, you’ll see a string of 13 numbers hugging a bar code. On most books published in the U.S., to the right of that you’ll see a second bar code with only five numbers. Normally the numbers begin with the numeral “5,” which indicates to the computer “U.S. price.” The next four numbers are the publisher’s list price. So if the second bar code segment reads 51995 that means that in the U.S. the price is $19.95! 9. Book sales and the publishing industry are growing year over year since the recession ended. This is normally the detail where I get the most pushback. Certainly we could argue about the causes for it all day long. Publishing received a large boon in the form of bestselling books by YouTube stars and adult coloring books. But it’s more than that. From 2009 to 2015, the number of indie bookstores increased by 35% and sales at those bookstores grew as well. My childhood bookstore, Mac’s Backs Paperbacks, reported their best sales years ever when the competing Borders store closed. This is a common story as customers shift from Barnes & Noble and Borders to indie bookstores. 8. Most books are no longer sold in bookstores. In most markets, gift and specialty shops, like boutique stores, gardening supply shops, craft stores, airport gift shops, grocery stores, and record stores, are actually selling more books than bookstores. Combined, industry-wide, these two channels comprise around 51% of books sold. For comparison, Amazon comprises around 30% of book sales for most publishers. Of course, it’s unlikely that gift and specialty would comprise 51% of sales for most memoir, fiction, or poetry. And that is partly why these subjects are seeing their sales decrease while adult trade nonfiction continues to rise. 7. The reason that book sales appear to be shrinking is because there are more books in print today than at any point in the history of the world. Today, 8,000 new books will be published. Likewise with tomorrow. And the day after. The majority of these are self-published memoir or fiction books from authors who decided to self-publish after a handful of publisher rejections or based on faulty promises of major corporations exploiting their emotions. This volume of competition is unsustainable and leaves even the most impassioned readers to throw up their hands because it would be more than a full-time job to even keep inventory of the new fantasy books being published every hour. 6. Most books fail because of improper title development. 5. Bestseller lists are cooked, not organic. These lists are purely marketing rather than demonstrating a proven sales record, as a reader might imagine. You can read many blogs that will instruct you on how to hack your way onto the New York Times bestseller list or other ways of manipulating these calculations. The Bell Curve, a book premised on classist, ableist, and racist pseudoscience about education, landed numerous daytime talk show appearances for the author, anticipating release. As a result, the advance orders for the book were very substantial. These advance sales landed The Bell Curve on numerous bestseller lists. Of course, while the launch was one of legendary marketing genius, there were problems. While its “merits” are still being debated today, the book largely went unread and many copies of the book were returned unsold. I encountered more copies in remainder bins than in bookstores. 4. Supporting your local independent bookstore over an online platform supports the entire ecosystem better. In most industries, the owner of the intellectual or physical property sets a wholesale price that stores purchase their products for. This is called “net pricing.” However, with books, publishers set a fixed “list price.” Different kinds of vendors receive various discounts, depending how much work is involved and how they handle the books. A certain online retailer has effectively argued that it is entitled to the largest discount of all due to the supposed “marketing” that it offers. As a result, publishers (and often authors) are paid more money when they walk into your favorite independent bookstore and purchase their books. Publishing is a volume business with very small margins. 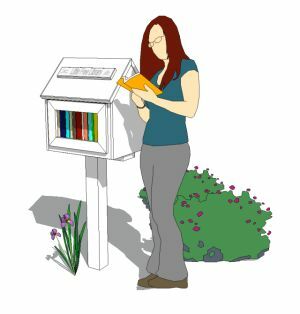 Microcosm’s books have a margin of 3.01% after printing, royalties, paying our staff, promoting, and shipping the books. As a result, we’d much rather work in a happy and healthy partnership with a local bookstore that is willing to collaborate with us than an abusive corporation that imposes terms upon us. Please consider that when shopping. 3. Your public endorsement as a reader of a book that you love is the greatest gift that you can give to the author and publisher. The only reliable method to sell books is getting readers to “buzz” about them. Major houses launch hip new divisions or small presses to operate as imprints in order to figure out how to commodify what is cool. Even the most successful authors are almost always too close to their subject matter to understand how to talk about it or communicate its emotional payoff to the reader. They need your help! If you can give an authentic statement about what you like about a book on social media that will not only make someone’s day but it will coalesce with other voices to create sustained life for a wonderful book. 1. Sixty-six percent of books sold in the U.S. are from an independent press, not from a Big Five “Major” House. Partly this has to do with the explosion in the number of independent presses, going from 3,000 indies in 1970 to hundreds of thousands of small presses today. There’s also been a tremendous change in technology as digital typesetting and digital printing eliminate the cost and risk to publishers with a firm hand in professional development and reaching an audience. But this is the statistic that is most staggering to process for people outside of the industry. To be clear, the “Big Five” aren’t going anywhere. They own rights to publish books that sell hundreds of thousands or millions of copies each year and pay for each of their new titles. They have offices across the globe and access to the smartest, most experienced people in the job market. But still, isn’t it a bit reassuring that a small publisher with a lot of heart can get the sale over companies with all of these resources? Joe Biel is a self-made autistic publisher and filmmaker who draws origins, inspiration, and methods from punk rock. He is the founder/manager of Microcosm Publishing and cofounder of the Portland Zine Symposium. He has been featured in Time Magazine, Publishers Weekly, Utne Reader, Portland Mercury, Oregonian, Broken Pencil, Readymade, Punk Planet, Profane Existence, Spectator (Japan), G33K (Korea), and Maximum Rocknroll. He is the author of A People’s Guide to Publishing: Building a Successful, Sustainable, Meaningful Book Business; Good Trouble: Building a Successful Life and Business on the Spectrum; Manspressions: Decoding Men’s Behavior; Make a Zine; The CIA Makes Science Fiction Unexciting; Beyond the Music; Bamboozled; Bipedal; By Pedal, and more. I went out to check on the LFL and noticed that almost all of the books donated a few days ago are gone already. Whoa! I hope it wasn’t the donor having post-giving remorse! I put some new books out there, including a few in Vietnamese and Mandarin. It wasn’t till I went to close the door that I noticed the stickers on the window. Thanks for the encouragement! I came home from work and found my Little Free Library fairly well stuffed! Then I noticed a garbage bag on the sidewalk right in front of the library. This could mean anything – someone dropped their garbage here on purpose, someone lost a bag off a wagon or little shopping cart, someone stole a bunch of stuff without knowing what it all was and this bag is the stuff they decided they didn’t want. Turned out to be more books! A couple of the books are HUGE activity books, hence not being able to put them in the Library (even if there’d been more room). I love that a couple of them aren’t English – Spanish and Vietnamese kid books! Yay books! Thank you, anonymous donor! I went a little different route than usual after work recently and used the Little Library Locator app to see if anything was near. I found #7288 – which is listed on the locator app and the Official LFL Map as being on Cesar Chavez (39th), but is actually just around the corner on Kelly. This one was packed! Among other titles, I saw “The Poems of Dr. Zhivago” (I really need to see that movie sometime! ), an old Reader’s Digest gigantic book about gardening, “Do Bananas Chew Gum?”, and “Snow Falling on Cedars”. It’s got some diversity in there! One of the teachers I work with gave me a present the other day. Whose Boat Is This Boat? Comments That Don’t Help in the Aftermath of a Hurricane is a picture book made entirely of quotations from President Donald Trump in the wake of Hurricane Florence. It is the first children’s book that demonstrates what not to say after a natural disaster. This book is not currently in the Division92 little free library – I just had to share it, as it’s so silly. Proceeds from sales of this book go to charitable organizations that support victims of Hurricanes Florence and Michael. This book is not currently in the Division92 little free library – I just had to share it, as it’s so silly!